This is Gayle and I am the Editorial Assistant at Pond Boss Magazine. Nice to meet you! I have been following the Forum discussions regarding our 2009 Pond Boss Conference and am excited to see your enthusiasm and ideas for what promises to be a spectacular event. I will be working with Bob and our staff to promote the conference and would love to have your input on a tag line or catch phrase that quickly communicates the spirit of the Conference. It will be used with our event logo on all of our marketing materials, on the web, etc. Best to keep it about 8 words or less. So, Forum users, put on your Pond Boss marketing hats and let us hear your ideas! Thanks - and I look forward to meeting many of you at the 2009 Pond Boss Conference. Hi Gayle nice to meet you as well. Oh and you better hang onto your seat. Asking this group for ideas is a risky business at best. Be The Best Pondmeister Ever - Attend our Conference and See How. There's a guy that has tons of information on bluegill and midwestern ponds at Iowa State. I'm sure he could put together something interesting in a power point presentation for us. His name is Professor Joe Morris. Super nice guy too. I also think Dr. Wetzel at Lincoln University in Missouri who is working on producing consistently huge bluegills could also be interesting. I know we don't want to get too academic but I think some academics in the mix would be nice for those of us that are looking for more than just the basics. Edit: My apologies. This was the wrong thread to post this. I tried to delete but was told it was no longer possible. Hi Gayle and welcome. Marketing the PB convention has so many potential methods, angles and sources I am reluctant to try and pick just one to cover the entire spectrum. Pond Boss - Creating world class recreational fisheries. HI Gayle. You are brave. I guess I will be the first to post a useful tag line. How To Remove A Treblehook While Drunk. On a more series note.. Improving Your Life One Pond At A Time. A Healthy Pond Equals Happy Kids. Pond Boss Magazine Makes Happy Ponds. "Clean water and big fish!" Pond Boss - "It all starts with one stop - Pond Boss Conference 2009!" Ponds In, Dirt's Out. (Like the old Tide laundry detergent slogan). Ponds: The Wealth of the Future. Dirt's Out - Ponds In - Now What? "Pondering Minds Want To Know"
Everything you wanted to know about ponds but were afraid to ask. Pond Info You Forgot to Ask About! We'll put the "P" in your ond Management!!! "Outside the box thinking- Innovative ways to enjoy your pond!" "Have questions? We have all the answers! 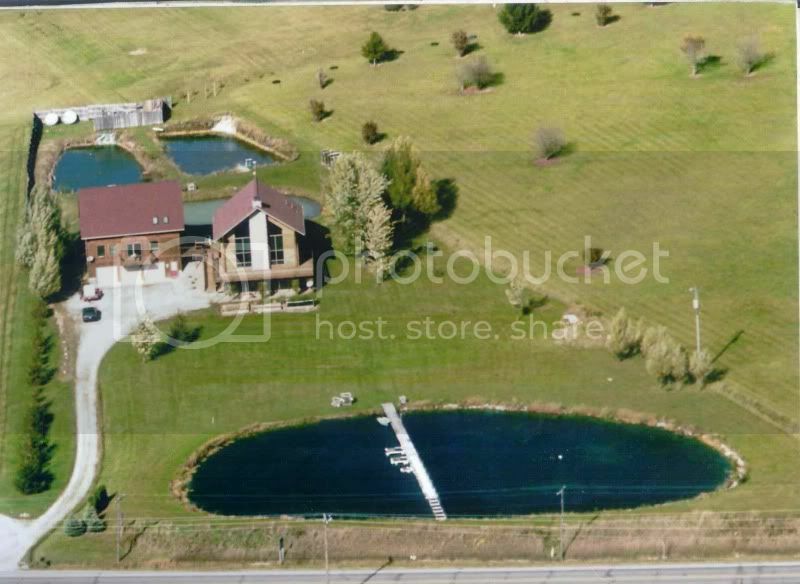 PB Conference 2009"
"Transform your pond into a world class swimming or fishing hole"
Somehow I don't think this is gonna pass muster Randy. Dang it's a good thing we're not having a Shiitake Mushroom growing convention.